Honda brio has airbags available, which is a safety feature. 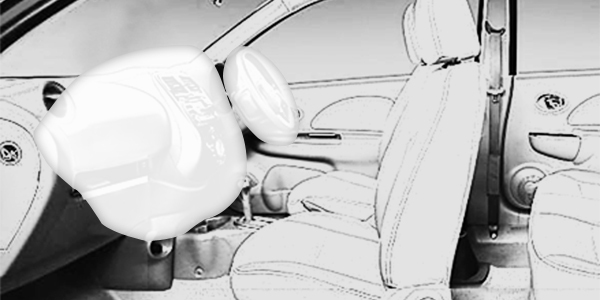 The airbags pop out when a collision takes place. It protects the passengers from any injuries. A few Brio variants have this feature of airbags available like, V MT, VXMT, VX AT, S (o) MT. The airbags once used cannot be reused. Brio was launched along with Amaze. It was targeting on fulfilling the needs of a small car in the city. Honda had launched these to increase their sales, which was undoubtedly a success with Brio. It is a peppy car attracting young generation. Brio's USP was its price range which is between 4.21-6.78 lacs. It is a value for money also well spaced car with comfortable seats. It is a second hatchback after Jazz that Honda has launched with an attractive option of automatic gearbox in it. In comparison to Honda Brio Tata Bolt, Hyundai i20 and its few variants has the safety feature of airbags available.